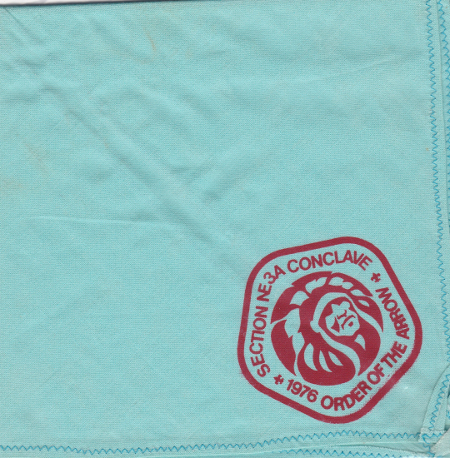 I recently acquired a neckerchief from the Section NE-3A 1976 Conclave (thanks Mia). It was an issue I was not previously aware of. In many instances in the Section at this time neckerchiefs and jacket patches were mainly limited to pre-orders and there were few if any extra made. I’ll add this image to the original post. Jay Schnapp points out that Black Eagle Lodge was also part of Section NE-3 at this time. If anyone has information on any other issues from this conclave, let me know. You can find links to other conclaves on my NYS Section Conclave page.